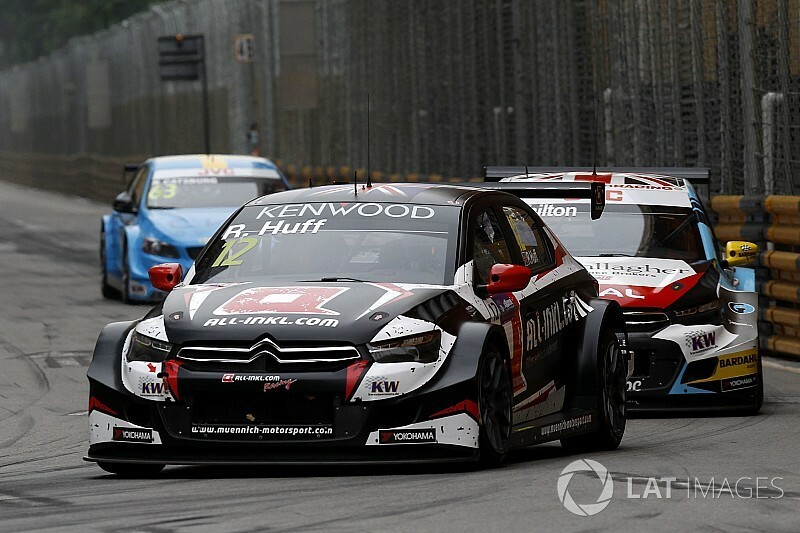 The Munnich Motorsport driver started his Citroen from pole, and survived an attack from Honda's Norbert Michelisz after the race had started behind the safety car before racing clear. Conditions were deemed sufficiently wet to mandate a safety car start, before the field was released and racing began at the start of lap three. Michelisz pursued Huff through the grandstand and Mandarin Oriental kinks and shaped to the outside on the approach to Lisboa before tucking his Honda in behind again. 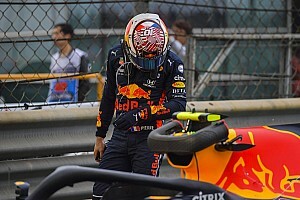 The Hungarian closed in once again at the start of the second racing lap, but then forfeited a chunk of time in the final sector that allowed Huff to break free. With the slipstream broken, Huff comfortably extended his advantage and crossed the line 8.142 seconds clear of Michelisz. Huff's success means he is now the outright most successful rider or driver in Macau history with nine wins, one more than motorcycle rider Michael Rutter's total. After losing the tow from Huff ahead, Michelisz - whose team ended its repair of his Honda at six in the morning after his shunt in Saturday's opening race - turned his attention to defending from the pursuing Sebastien Loeb Racing Citroen of Tom Chilton, who was part of a group of three cars alongside Huff and Michelisz that broke away when racing began. Chilton got a run on the Honda off the final corner and attempted an overtake through the grandstand kink at the start of lap nine, but Michelisz hung on gamely around the outside and Chilton was forced to back out of the move, leaving him vulnerable to the second factory Honda of Esteban Guerrieri. 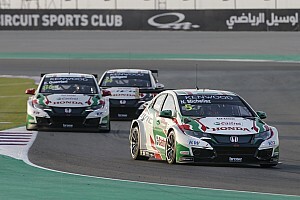 Guerrieri had earlier cleared Michelisz's title rival Thed Bjork for fourth and, having closed in on the second and third place pair with a string of fastest laps, profited from Chilton having to back out of his move on Michelisz to pass the Citroen man between the kinks on lap nine. From there, Guerrieri assumed the role of protector to his championship chasing teammate Michelisz who was allowed some breathing space. But Guerrieri was shown a black and white flag for driving standards on the final lap of the race, and then succumbed to Chilton at the looped Dona Maria corner towards the end of the second sector and crossed the line in fourth. Bjork was never in touch with the leading pack in his Volvo S60, but had a comfortable run to fifth without a challenge from the ROAL Motorsport Chevrolet of Tom Coronel behind. The result means Bjork now has a slender 6.5-point advantage over Michelisz in the drivers' standings with one round of the season remaining. 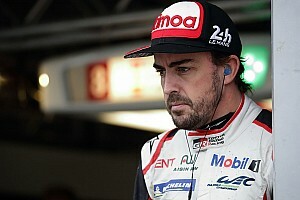 Mehdi Bennani was seventh in the second SLR Citroen ahead of Kevin Gleason (RC Motorsport Lada) and the Volvo of Nestor Girolami, and David Zsolt Szabo claimed his first WTCC point in 10th.